This is ideal way to brighten someone's day, brilliant beauties, they have timeless appeal to bring us warm smiles! 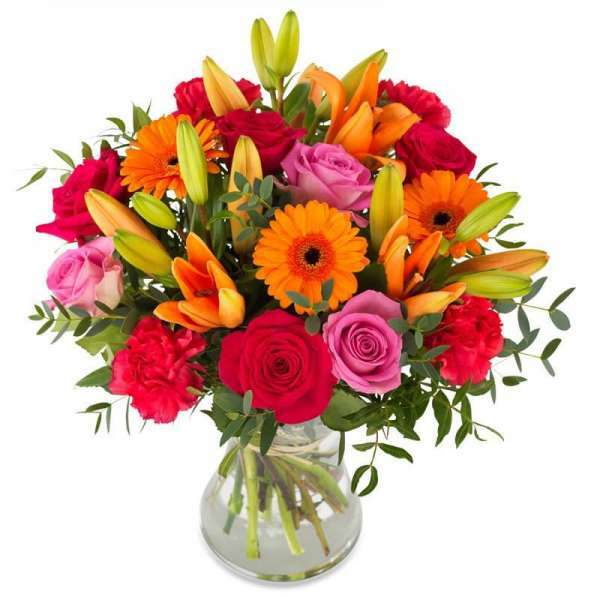 We select bunch of fresh, bright flowers and arrange them in a glass vase. This brilliantly mixed color combination, delight everyone with the fresh promise of a new day. Colors and varieties may vary.